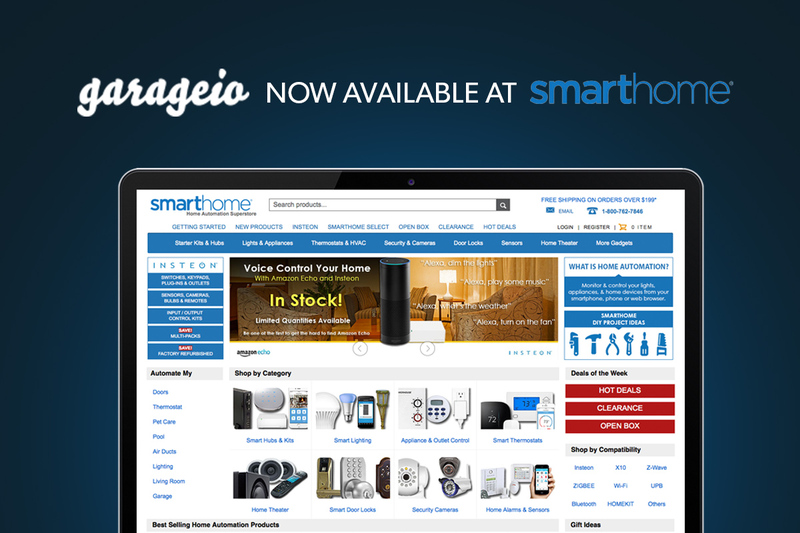 We’re happy to announce that Garageio is now available on Smarthome.com! As an IoT hardware startup, it’s extremely important to be available on as many different platforms as possible. So we are adding another distribution channel to our arsenal with Smarthome.com! They have a huge selection of other awesome smart home and IoT products such as the Amazon Echo, Insteon, and Ecobee. Thanks to the folks over at Smarthome for believing in our product! 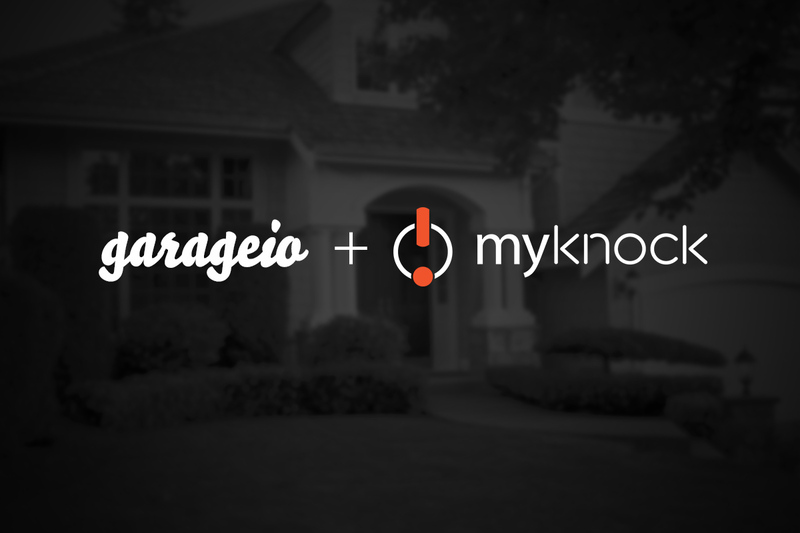 We are proud to announce that Garageio now works with Myknock! Myknock makes your connected life better for you and your family. 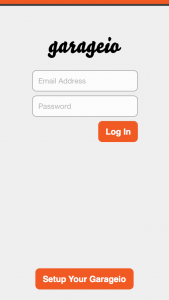 It saves you valuable time by removing the clutter of multiple apps with multiple logins. Why have Garageio and Myknock teamed up? The garage is a unique access point to your home for the entire family. While most devices and services do a great job catering to a single connected user – Myknock caters to the connected family. Similarly to your Philips Hue smart lights, Nest thermostat, and all your other connected devices, you may want control and personalize how each member of your household uses Garageio. Instead of having to install and manage multiple apps to operate your smart home, Myknock gives you total control from a single dashboard. Myknock supports multiple user-based profiles allowing the household owner to share access to their connected life devices and services with others as desired. Myknock is the only solution that seamlessly works for all of the members of the household, greatly improving the digital life experience by letting users share access with every member of the family. 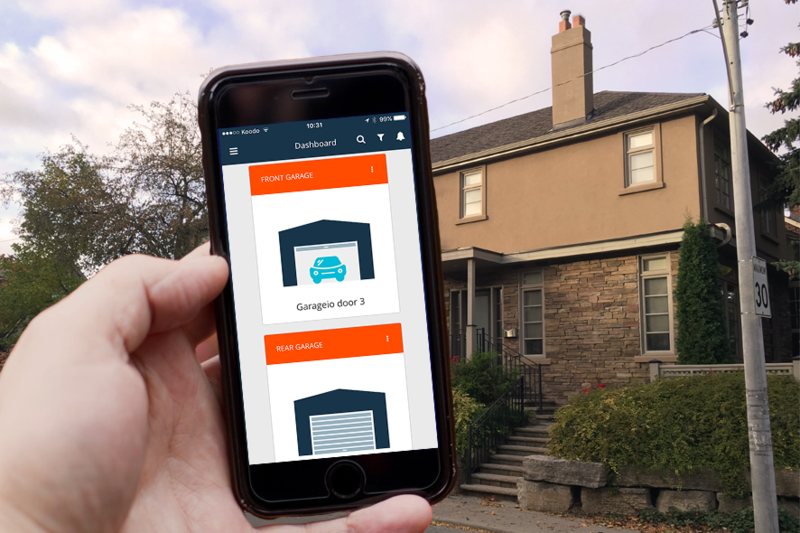 Garageio and Myknock both create a smarter and simpler way to monitor and control your smart home and your life. It only makes sense for the two to work together. 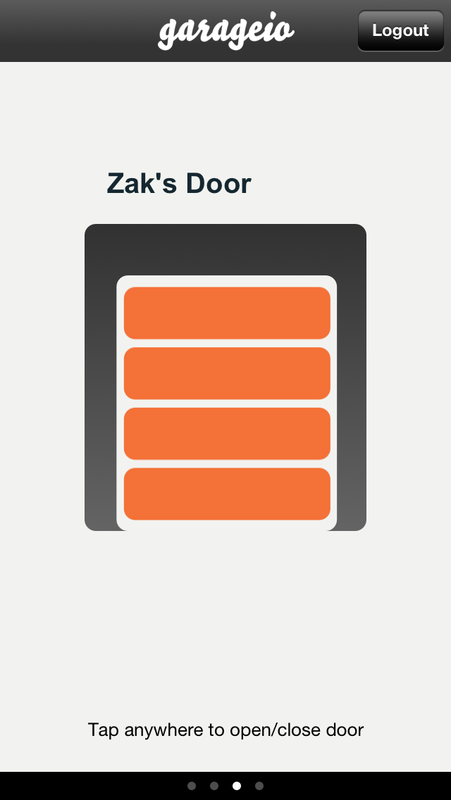 Learn more about Garageio + Myknock and our other integrations on our WorksWith page. You can also check out Myknock’s press release on prweb! 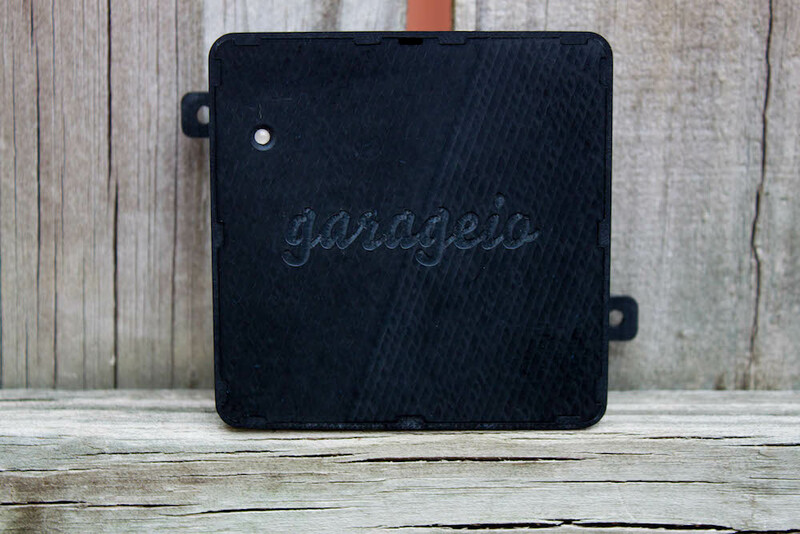 Make Your Garage Even Smarter! 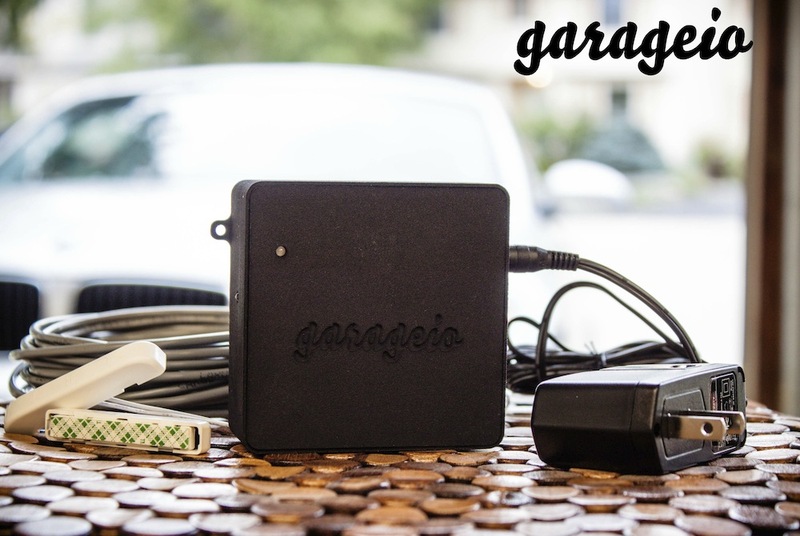 We’re excited to announce the debut of the Garageio Skill for the Amazon Echo™ which allows you to control your garage using your voice! To use the Garageio skill, you need to enable it in the Alexa Companion App (or website). * Simply open the app, tap on Skills in the menu, and then press Enable for the Garageio skill. 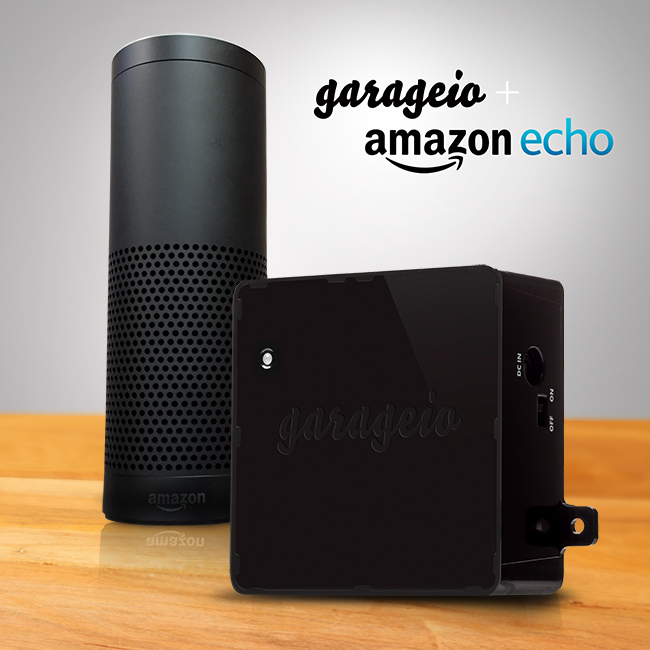 * In order to use Garageio with Amazon Echo, you need to own both Garageio and an Amazon Echo. Today we released a minor update to the Garageio dashboard. Each door’s “Latest Activity” section will now include the application that triggered the door open / door close. Door open/closes from the website will be identified as Garageio Web. 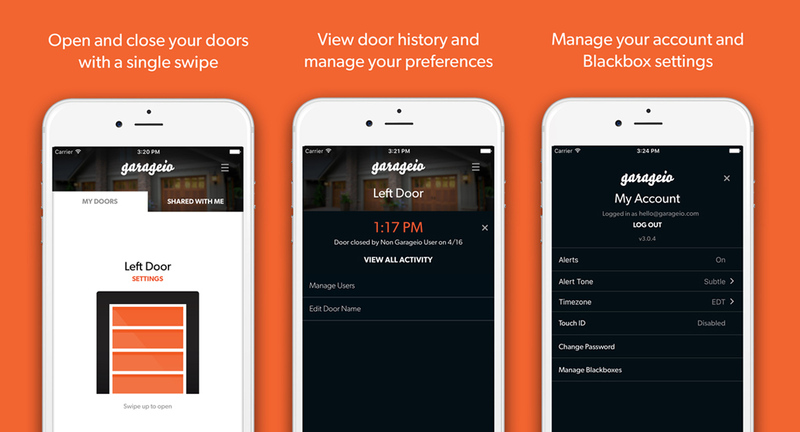 Door open/closes from the iPhone and Android apps will be identified as Garageio Mobile App. Door open/closes that occurred before this update was made will not include the application that triggered the door open / door close. 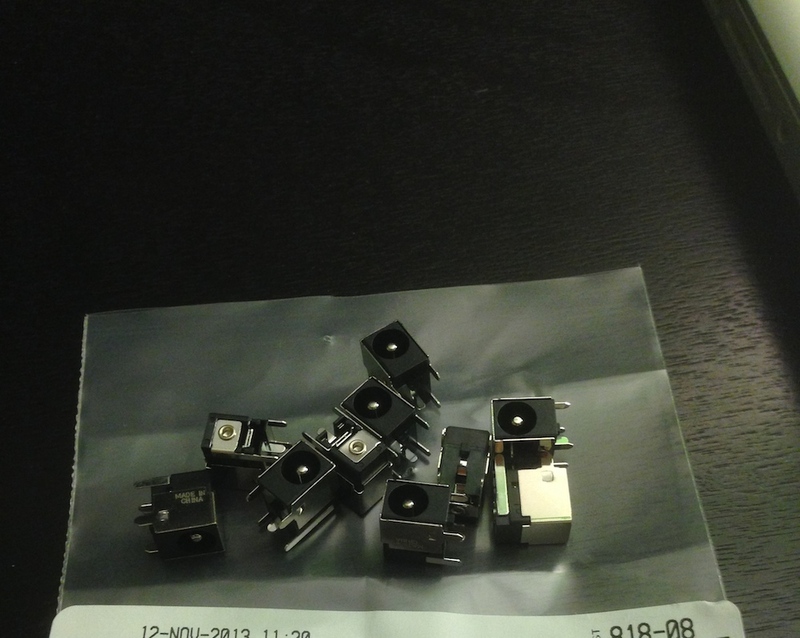 Parts have begun rolling in! Today marks a special day for us at Alottazs Labs. Today, our dream became a reality. The arrival of our first prototype brings us one step closer to market and the beginning of a paradigm shift on standards of connected devices. All of us here are gearing up for our first round of testing and look forward our release to the market shortly. For more information, check our features and FAQ page. 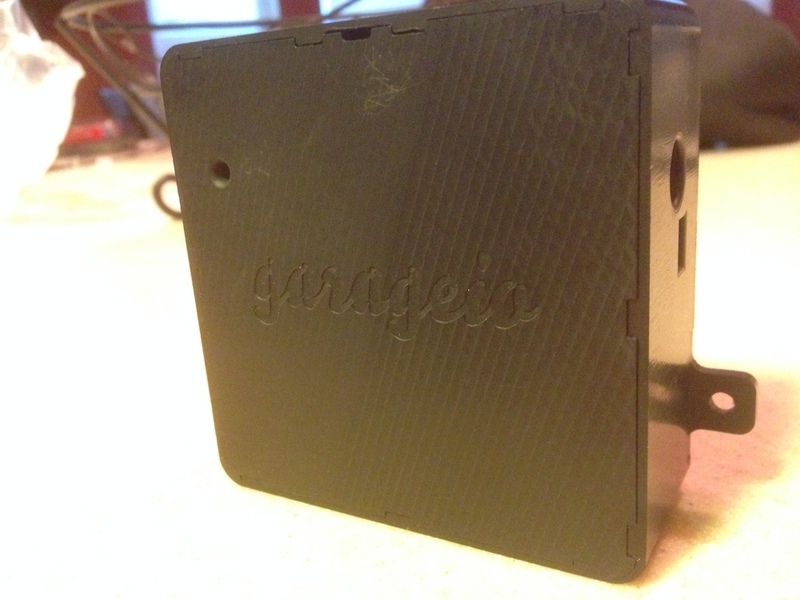 As fall approaches, Garageio is working hard on putting the finishing touches on the prototypes. 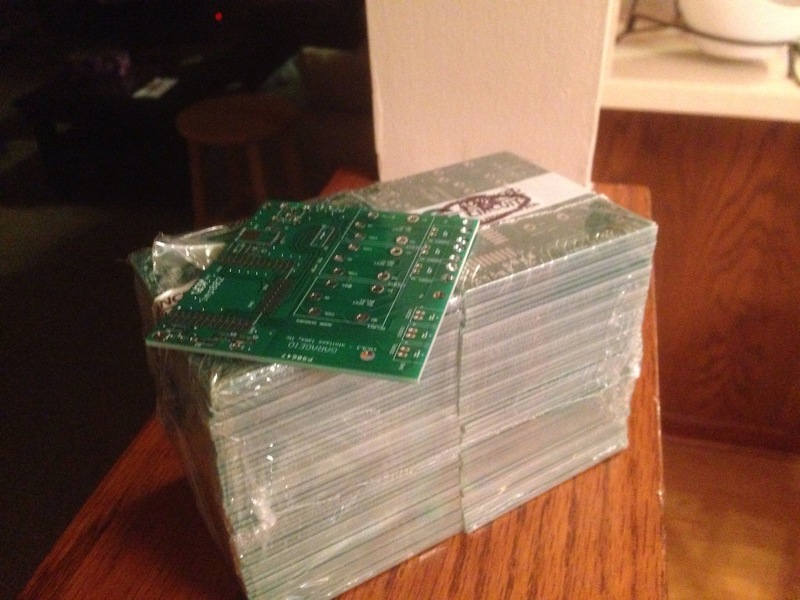 It is these prototypes which will be distributed to our local testing team in and around Columbus in the coming weeks. We are truly excited to get our work into real households. I wanted to take this opportunity to give you a preview of the iOS app interface. The user interface is still constantly being tweaked but this should give you an idea of what to expect. 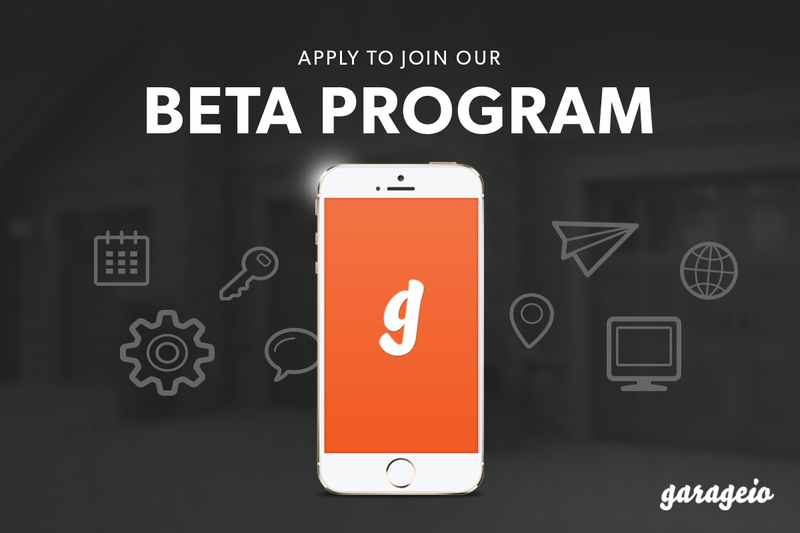 If you live in the Columbus, Ohio area, we would love for you to be one of the first to get Garageio. Simply contact us at hello@garageio.com. Stay tuned for more updates!